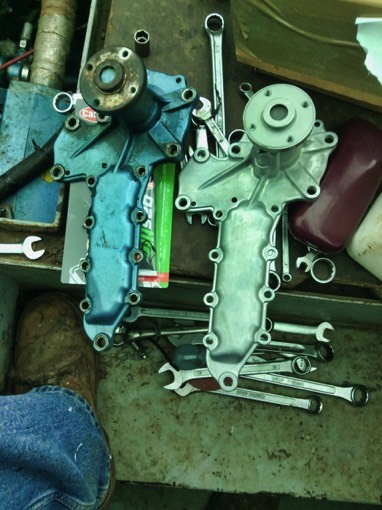 The main fuel pipe from the in-line fuel filter to the diesel injector pump was replaced and the diesel low pressure ‘leak off’ pipe from the injectors back to the injector pump has also been replaced. 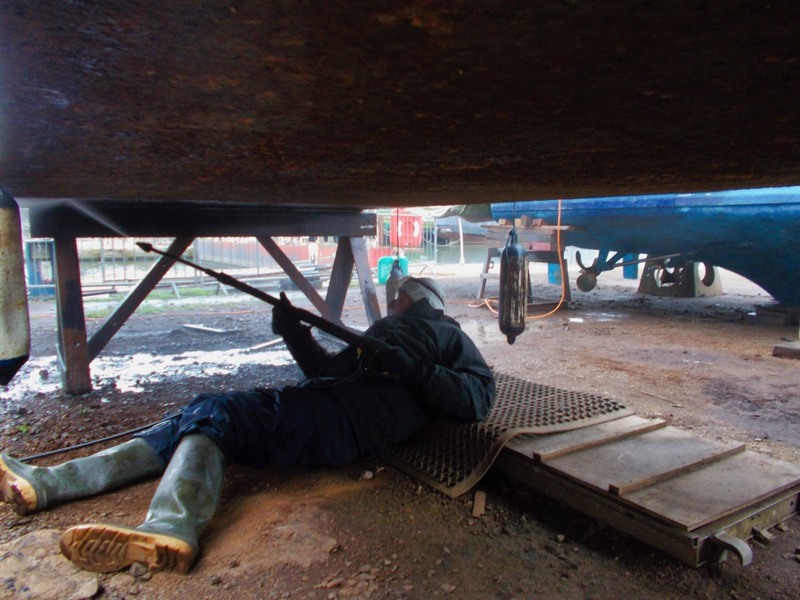 Over the last few weeks we have been busy removing bitumen from the hull of Wye Invader Two, and running the engine to top up the batteries. 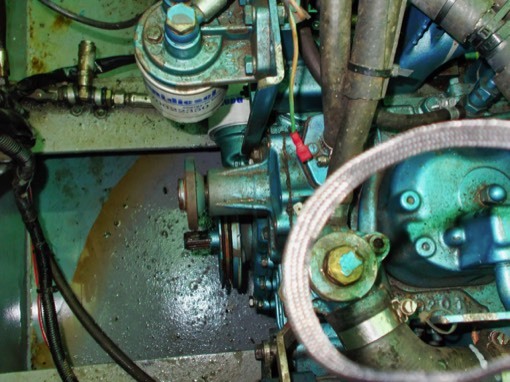 A couple of weeks ago after I removed the diesel spill mats from under the engine bilge, not only did we have a small leak of diesel but also antifreeze. On further investigation the coolant was coming out of the water pump from the fan bearing, so I’ve now replaced the water pump. 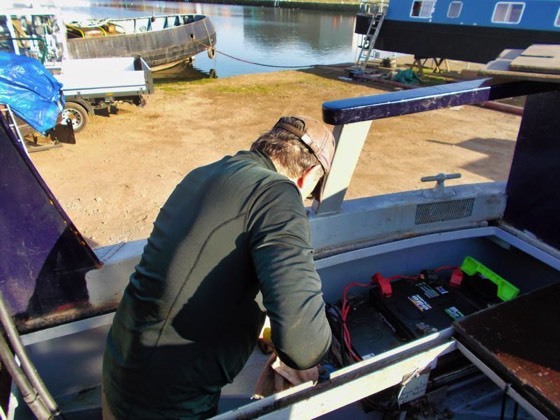 At the same time, with the bilge mats removed, the diesel leak became more apparent, this was traced to the main fuel pipe from the filter to the injection pump so a new fuel pipe and copper washers have been fitted. 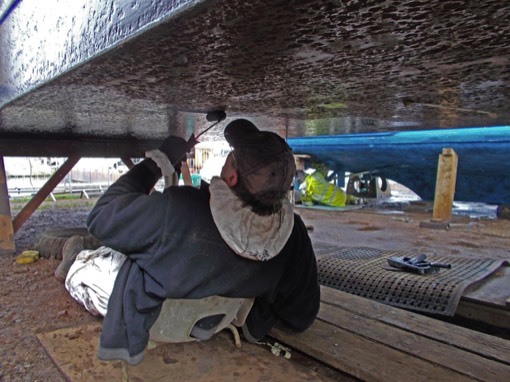 The baseplate from the middle of Wye Invader Two to the bow has already had the rust and bitumen removed down to the steel and the first coat of new bitumen applied from the forward support trestle to the bows, about 2 meters in all. 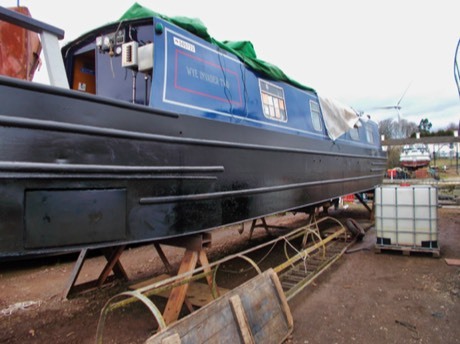 Spring is only just round the corner, and work on Wye Invader Two continues. On Monday 7th January we pressure-washed the baseplate, the following weekend we used a heavy duty angle grinder with a 7 inch disc and 25 grit grade paper discs (not fibre as they are more expensive and clog easily when used on bitumen), we’d soon removed all the bitumen from the front section, and then we used a smaller 4½ inch angle grinder with a 36 grit resin disc to clean the steel baseplate before applying the first coat of new bitumen. The weekend of 2nd February we again used the large angle grinder to remove more old bitumen and yesterday the 6th February, we finished just short of the mid-line with the first coat of new bitumen. Weekend Sunday 6th and Monday 7th January. 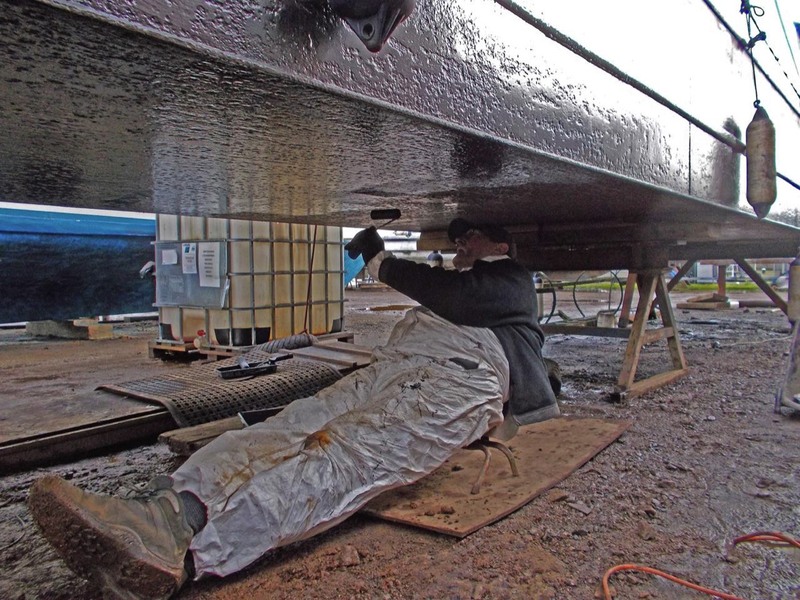 On Friday and Saturday the temperatures were too cold to work as the paint we had required a minimum temperature of 10 degrees centigrade before it could be applied.